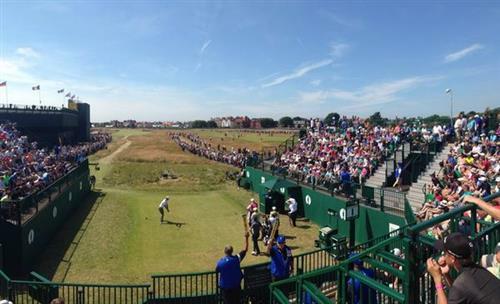 Live updates from The Open Championship at Royal Liverpool. A classic round from Sir Nick of the Faldo so far, who is just one over after 13. He's thrown in 12 trademark pars to date with the only blemish on his record a bogey on the par four 7th. The 2010 champion Louis Oosthuizen is two under after 15 and very much in contention. I mention this partly because it's relevant but mostly as a wafer thin excuse to regale you with the South African's full name. Which is Lodewicus Theodorus Oosthuizen. “Are you back?” asks Tom Rinaldi to Tiger Woods on ESPN after 1st round 69 at #TheOpen at Hoylake. 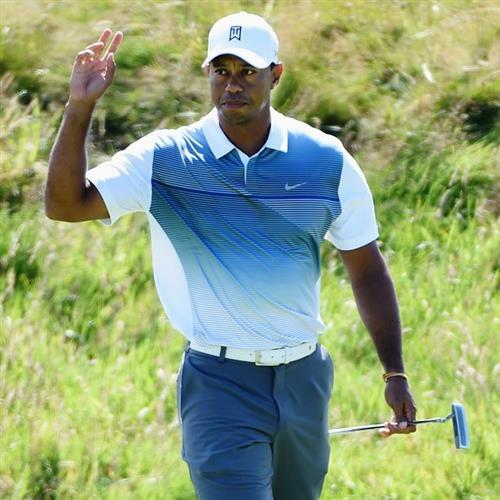 “Life is good” Woods answers. Three Italians and a Spaniard in the top seven. The last time a Continental European lifted the Claret Jug, you ask? Seve in 1988, I reply. It has been a day to forget for the 1999 champion Paul Lawrie with a disastrous seven over 79. The cut is already looking a forlorn hope for the Scot. Rory McIlroy can put his feet up and reflect on a thoroughly satisfying first round at Hoylake. Six birdies and not a single bogey to card a six under par 66. 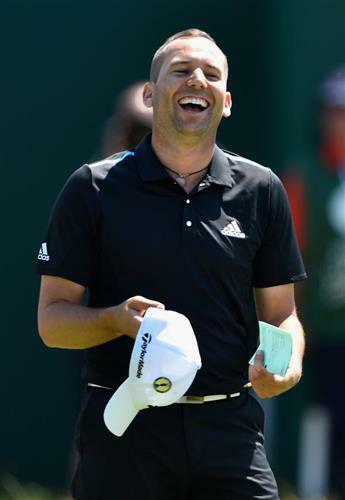 The missed birdie opportunity on the 18th might irritate him slightly but overall a job well done by the Irishman. If he can overcome his second round failings tomorrow, a third Major beckons. 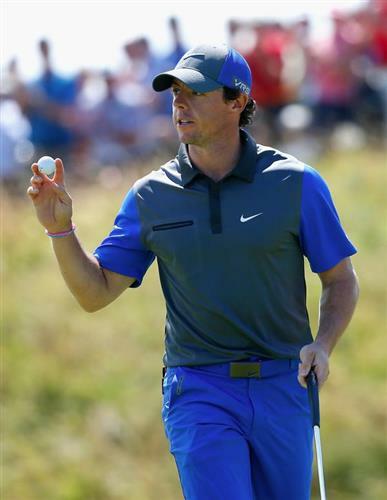 The completion of McIlroy's round means that 12 of the leading 14 players are all done and dusted for the day. 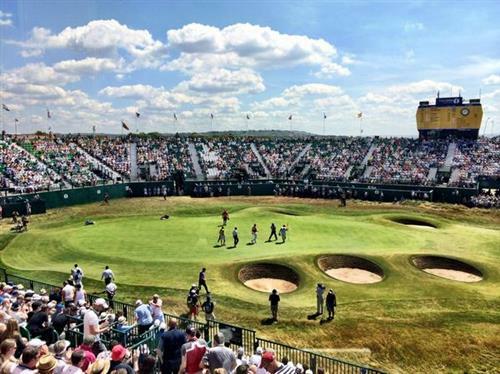 The two exceptions are America's Jimmy Walker, who is on the 18th at three under, and Scotland's Marc Warren, who is also three under with five to play. News of Mickelson's round soon but don't forget Justin Rose joins the battle at 2.27pm while Lee Westwood enters the fray at 2.38pm. 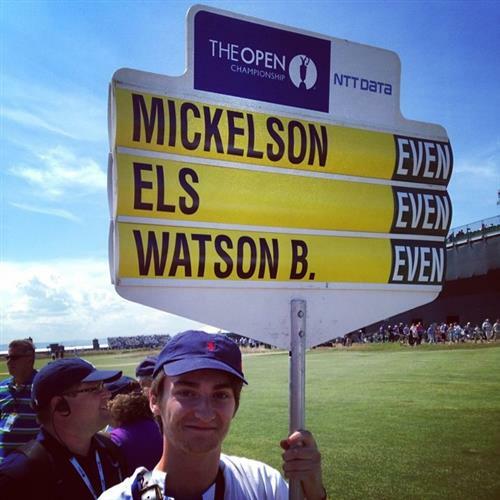 Phil Mickelson & Bubba Watson are in the same @The_Open group for 2 rounds? My two favorite golfers in THE SAME GROUP!!!! That is great!!! Ian Poulter and Luke Donald have both completed their rounds. Both men card a one over par 73 and will need to improve tomorrow. It's not a disaster but a day neither will be exactly enthused by. Phil Mickelson and Bubba Watson both ease themselves into their round with par on the first but playing partner Ernie Els suffers a catastrophic start with a seven and is already three over! It gets even worse for the aforementioned Els as he drops another shot on the second. Mickelson continues in steady style with another par while Bubba also takes a regulation four shots. Adam Scott, the 2013 winner of the Masters, is out on the course, accompanied by Justin Rose and American Jason Dufner. 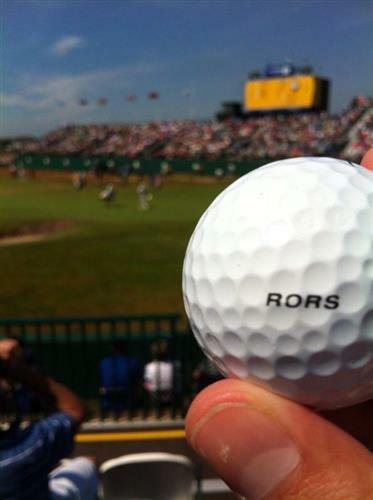 Rose pars to ease the nerves while Dufner misses a long birdie putt. Scott also misses with his first putt and it's pars all round. Just watched Ernie Els 3-putt from 2 feet. I don't feel so bad about my game anymore. 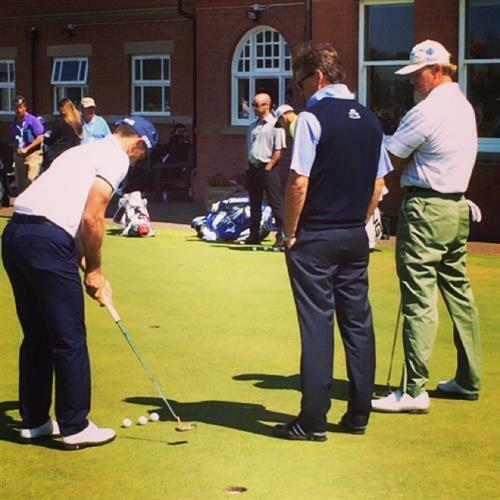 Sir Nick of the Faldo can put his feet up after completing the first 18 holes at Hoylake. The three-time champion carded a three over 75 and sad to report his famed consistency deserted him somewhat on the back nine with a double bogey on the 14th. Speaking of Mr Westwood, he's up and running with a par on the first hole. Could this finally be the year the nearly man of Majors golf finally breaks his duck? 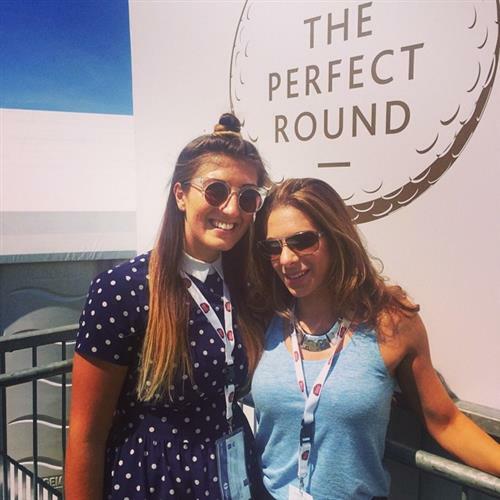 The (British) Open Championship is the best major, hands down. Golf back at its roots. Pulling for one man this week... Lee Westwood! 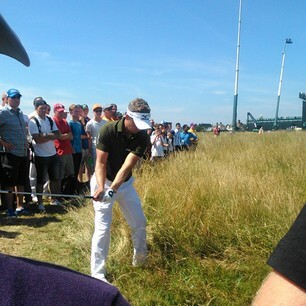 My tip for The Open week; Lee Westwood…if he gets the short stick working a first major can be on the cards. Mickelson is three holes down for the day and has opened up with an impeccable three consecutive par fours. Ernie Els has mercifully stopped the rot with a par on the 3rd. An impressive start from the American duo of Boo Weekly and JB Holmes, both of whom are two under after just six. Who would thunk it? Ernie Els is now a staggering five, his latest indiscretion a bogey on the fourth and and the double Open champion can surely already kiss goodbye to his 2014 title hopes. 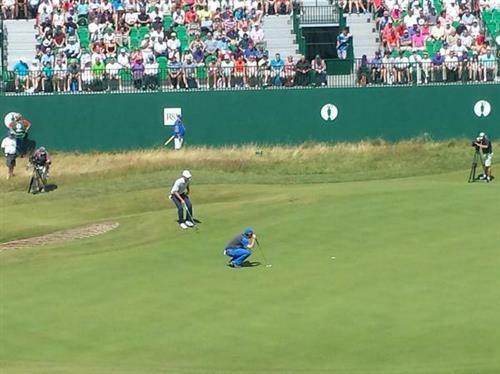 #TheOpen Ernie narrowly misses out on a birdie on 4th hole. Easy tap-in for par...but he pushes it! Els now at 5 over. Zach Johnson birdies the third and the 2007 Masters champion is one under. He finished joint sixth in last year's Open and has to be considered an outside but far from idiotic bet for this year.